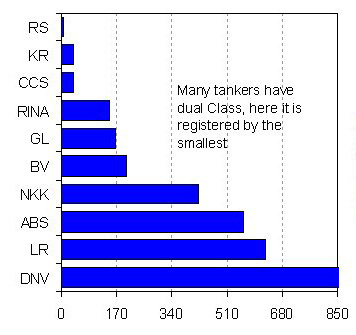 -The classification societies are responsible for classifying ships. A ship must be classified before it can sail for the merchant navy and before it can be insured along with its cargo. -A classification society is a non-governmental organization that establishes and maintains technical standards for the construction and operation of ships and offshore structures. The society will also validate that construction is according to these standards and carry out regular surveys in service to ensure compliance with the standards.